Denhan Guaranteed Rent has been managing rental properties in the Royal Borough of Greenwich for over 15 years and our property specialists have built up excellent relationships with landlords during that time. 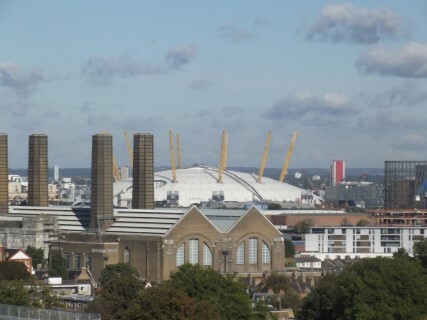 We are one of the leading letting agents covering the borough of Greenwich. Our knowledgeable and experienced team has an in-depth knowledge of the area. The Royal Borough of Greenwich is in south-east London and covers an area of 18.28 square miles, with a population of over 260,000 residents. Situated on the south banks of the River Thames, Greenwich is bordered by Bexley to the east, Bromley to the south, and Lewisham to the west. Across the River Thames towards the north sits the boroughs of Newham, Barking & Dagenham, and Tower Hamlets. Greenwich became a royal borough in 2012 to mark the Diamond Jubilee of Elizabeth II and due to its historic associations with the royal family. The area has a strong maritime and military history, and this is reflected in such landmarks as the National Maritime Museum and the Cutty Sark. The Old Royal Naval College and the Royal Observatory form part of a UNESCO World Heritage Site. Greenwich Royal Park is another key attraction. There are 63 state-funded primary schools in Greenwich, 13 state-funded secondary schools, and 7 independent schools. Greenwich Community College is the main centre for further education, and there is the University of Greenwich. Hospitals in Greenwich include the Queen Elizabeth Hospital and the Memorial Hospital. The DLR serves five stations in the borough of Greenwich: Cutty Sark, Deptford Bridge, Elverson Road, Greenwich, and Woolwich Arsenal. There are 13 National Rail stations in Greenwich, all served by Southeastern. These are Abbey Wood, Blackheath, Charlton, Eltham, Greenwich, Kidbrooke, Maze Hill, Mottingham, New Eltham, Plumstead, Westcombe Park, Woolwich Arsenal, and Woolwich Dockyard. Crossrail will form part of Woolwich and Abbey Wood stations. Bus Route 53 serves Charlton, Woolwich and Blackheath from Trafalgar Square and Route 188 serves Greenwich from Russell Square and Waterloo Station. Bus routes also link Greenwich with other parts of the borough, including Eltham and Woolwich. Greenwich is served by the Jubilee Line with a station at North Greenwich tube station. There are many cycle routes in and around Greenwich, including the Thames Barrier to Greenwich, Thamesmead to Greenwich, and Thames Path to Greenwich Path.